I am trying to use my Roxio GameCapture HD Pro to capture play from my SNES. I am able to connect my SNES console directly to my TV using the RCA (Yellow, Red, White) wires with no problem. Clear video, clear audio. 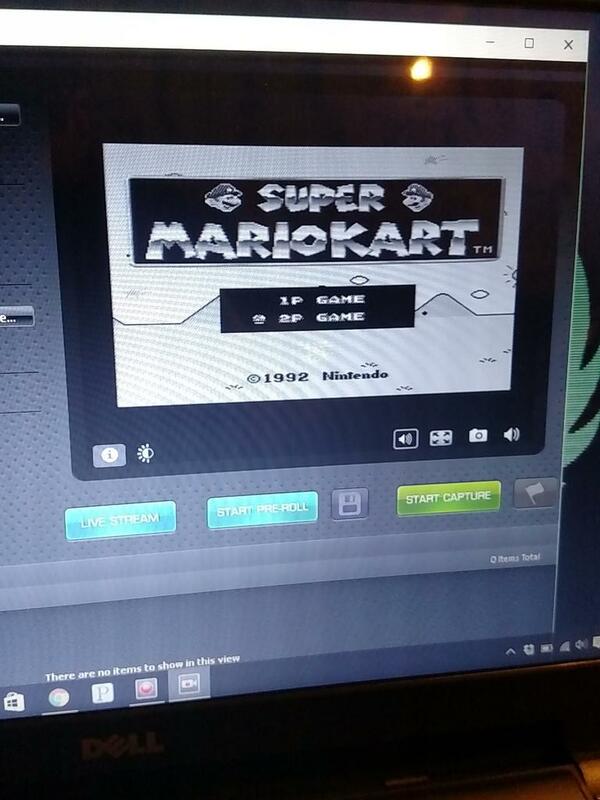 I am able to connect my SNES to my GameCapture with RCA and my GameCapture to my TV with RCA with no problem. Clear video and clear audio ON MY TV. However, when I connect my GameCapture to my Laptop, the Audio is clear but the video is all greyed out ON MY LAPTOP. There is no color saturation at all. The video and audio is just fine on my TV, but the video that my computer is displaying within the Roxio software has no color saturation; only shades of grey. Attached is a picture of my laptop screen. As you can see, my computer is displaying color just fine but the preview window is all shades of grey. Have you actually captured video and what does it look like? You can NOT use your yellow composite video signal with any of the Roxio Game Capture (for Console, or HD Pro) devices. They require the Component, Red/Green/Blue video signal, (or HDMI for the HD Pro device). As you're seeing, the Composite signal will only give you a grainy black and white image. Yes, I gave it a test run just to be sure. Audio is fine, video is grey. Bah. Thank you for your help! Off to the internet to see if I can find some kind of converter.